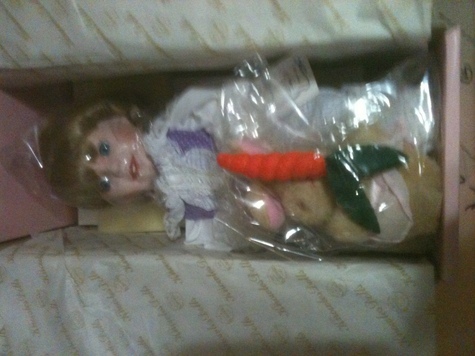 These porcelain dolls circa 1989 and 1990 are by artist Cindy M. McClure and are Cindy's Playhouse Pal's collection. They are in excellent condition and are in their original shipping containers complete with verifiable registration numbers and paperwork. They were lovingly named Shelly and Meagan by their creator.